While some media headlines have openly blamed Brexit for slowing the UK’s property market, new research from Censuswide indicates that actually the reverse is true. Censuswide polled a total of 450 high-net-worth investors from Dubai, Hong Kong, South Africa and the UK. Of those who indicated that they were already invested in the UK property market (either via residential property or via commercial property), no less than 85% indicated not only that they were still optimistic about the UK property market but also that they were still looking to expand their portfolios. 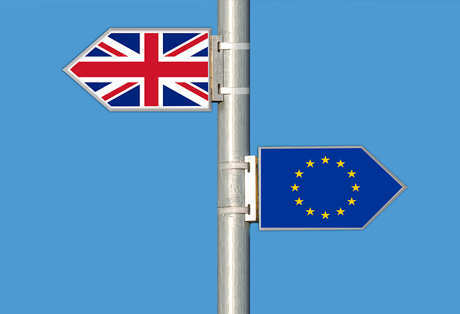 Almost a quarter (23%) of UK-based investors advised that Brexit was actually their reason for investing and while global investors might not have been so directly influenced by the UK’s forthcoming exit from the EU, it may well have had an indirect influence by lowering the value of the pound and thereby helping to offset recent tax changes which could otherwise have dented interest by making it more expensive to invest in the UK. There can be no doubt whatsoever that the topic of Brexit can generate very strong emotional reactions on both sides. When you take emotion out of the debate, however, certain hard facts become clear and they augur well for the UK’s future. First of all, the UK is a part of Europe and will remain so regardless of whether or not it is an EU member. Therefore, one way or another the UK and Europe will have to come to an accommodation with each other and it is in everyone’s best interests that it is an amicable one. Secondly, the UK’s economic strength has never depended wholly on the EU and the advent of the internet has made it even easier for UK-based companies (and indeed solopreneurs) to operate on a global basis. High-net-worth investors are exactly the sort of people to understand these facts very well, which explains why 55% of them expect that the UK property market will be “good to strong” over the next 18 months with that figure rising by 9% when considering the UK property market’s prospects over the next three to five years. Knight Frank recently surveyed 155 property investors who represented organisations with more than £500 billion of property-related assets under management. They found that 21% of these investors indicated that the UK was their preferred investment market, an increase of 9% compared with 2017. In addition to this, many smaller-scale investors have also started to prefer to invest in commercial property as residential buy-to-let, while still a very viable investment class, is now becoming not only increasingly heavily regulated but also increasingly politically contentious. Of course, the demand for commercial property is very much a reflection of the state of the UK’s economy and the fact that there is so much interest in it from experienced investors is another sign of confidence in the UK’s ability to manage its exit from the EU.